Following Max Van der Sloot’s funeral from E. Sargeant & Sons Slough in June 2017, David Hall wrote obituary articles for Heritage Commercials and Canal Boat which subsequently appeared on the shelves of W.H. 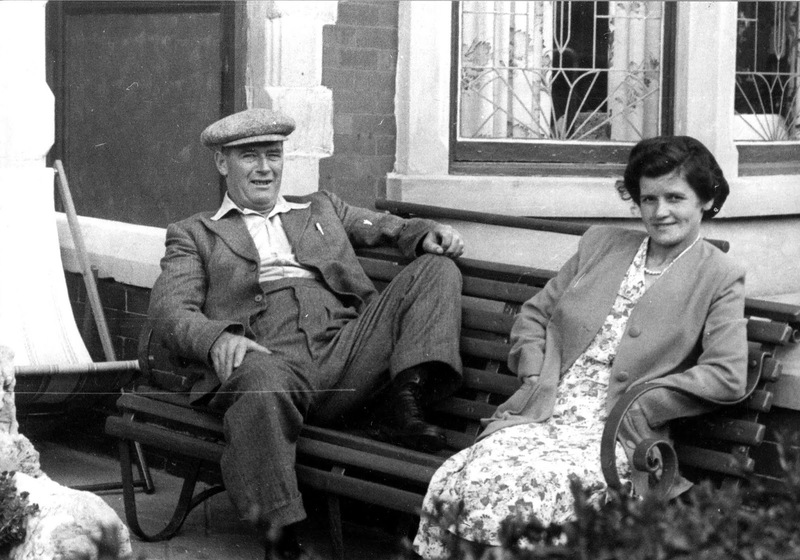 Smiths in September. David’s first contact is with the Family to whom the sight of their Loved One appearing in a prestigious magazine means a lot and helps them with the grieving process. However, David also contacts the Funeral Director as a matter of courtesy. Most Funeral Directors never even acknowledge the email, however, Peter Wicks of E. Sargeant & Sons not only acknowledged the email he went out and bought copies. Whilst David was working in his garage, dismantling the display from a Denmead funeral, Peter left a message on David’s answer phone. Peter said that he was most impressed with the magazine articles, however, another opportunity may exist for the 1950 Leyland Beaver as a ‘Scrap Man’ had passed away in Maidenhead. When the Deceased’s Daughter, Nicola walked into the E. Sargeant & Sons office she was thinking about booking a Horse Drawn Carriage for her Dad’s final journey because he had loved betting on horses and attending Race Meetings at Ascot. 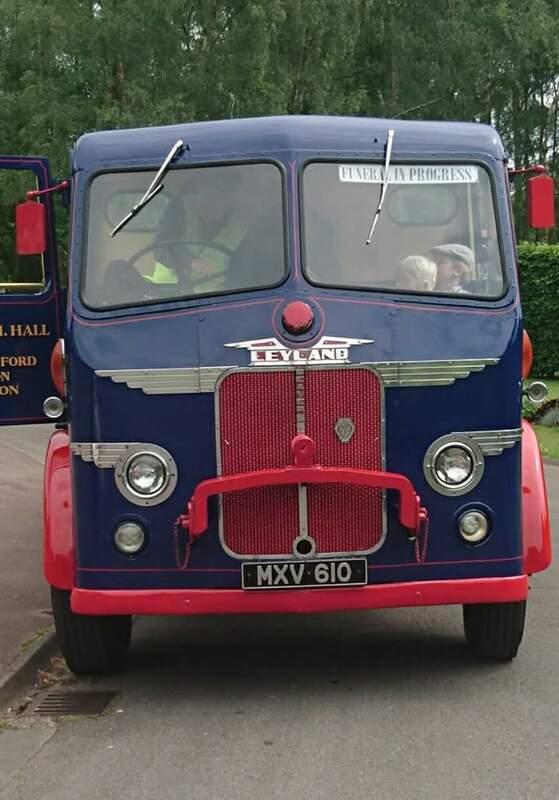 As Nicola was looking through the options in the Funeral Brochure, Peter Wicks drew her attention to the 1950 Leyland Beaver and provided positive comments about David Hall’s commitment to achieve high standards and his attention to detail. Nicola thought that the price for the lorry was quite reasonable and booked the Leyland Beaver for her Dad’s final journey, but not for the reason that Peter Wicks had suggested. The Deceased had never owned a lorry and had never held a Driving Licence. He had used friends and family to collect scrap and when no one could help him he used his Wheel Barrow. He collected metal, mainly copper, from households, consolidate items into loads in his garden and then use his Chillington black Wheel Barrow with a red wheel to transfer the loads of scrap to W N Thomas & Sons in Stoke Gardens, Slough. When Nicola saw the picture of the Leyland Beaver she immediately envisaged a Wheel Barrow on the deck somehow fitting into the display of flowers. She thought that her choice would be most appropriate as her Dad’s business would had flourished if he had owned a lorry, however, for his funeral he would have something that he had always wanted but could never have. David contacted Nicola to get details of the Florist who would create the Floral Tributes and she told him that it was likely that ‘DAD’, ‘GRANDAD’ and a 5 ft Coffin Spray would be ordered. David shared with Nicola his initial ideas on potential layout options, however, Nicola’s first thoughts were confined to what she had seen in a hearse with ‘Name’ Floral Tributes positioned either side of the coffin. David said, ‘What I drive is not a hearse it’s a lorry with a 21 foot deck and my plan would be to position the Floral Tributes so that everyone can see them. Have you got any special requests you want me to include?’ Nicola then told David about her Dad using a Wheel Barrow and asked if David could provide one for the funeral. Fortunately Nicola had looked at the Vintage Lorry Funerals website, saw how David had secured Wheel Barrows in previous funerals (Portchester & Guildford) and could visualise what David was suggesting when he asked for a head & shoulders picture of the Deceased. David’s plan was to secure a Wheel Barrow, exactly like the Deceased’s, against the headboard and then position an enlarged laminated picture of the Deceased between the handles, so that it would seem like that the Deceased was holding his own Wheel Barrow. David spoke with Tracy of Hearts & Flowers in Datchet who confirmed what Nicola had ordered, however, there was also a 19 inch Horse Shoe Floral Tribute. David sent Tracy an email of a sketch of a Horse Shoe and asked her to provide a number of measurements so that he could make a wooden stand which would mirror the shape of the Horse Shoe. In this way the ‘Horse Shoe’ Floral Tribute would appear to be floating unsupported, as David had previously done for funerals in Orpington, Cardiff, Merthyr Tydfil and Ely. Given that the main Floral Tribute was the ‘DAD’ David was determined to keep the Support Structure in front of the coffin no wider than the ‘DAD’ and this meant finding a way to secure the Wheel Barrow with minimal support beneath it. David’s wife was able to edit the image that Nicola had sent to the size David required for the display and then Vintage Lorry Funerals’ Support Partner, Tech Office, in Trowbridge, laminated the picture. It was also fortuitous that David was able to find a Chillington Wheel Barrow exactly like the one used by the Deceased and the person who owned it was very pleased to help David and loaned it to him for the funeral. David had all that he needed, apart from measurements taken from the coffin. As he was planning to work on building the Support Structures on Saturday, he sent an email to Peter Wicks. Normally Funeral Directors close for business on Friday afternoon at 1630 hours and don’t open again until 0830 hours on the Monday morning, so David didn’t expect a reply to his email before Monday noon. However, when David put on the computer on Sunday morning he was shocked to see an email from Peter Wicks which provided the measurements David required and it was certainly a first for a Funeral Director responding over a weekend. Normally Funerals are in the late morning or early afternoon and David makes an early start, arrives at the Funeral Directors before the morning rush hour has started and often returns to Bradford-on-Avon before the evening rush hour starts. However, with the Slough funeral being in the late afternoon it was evident that the Leyland Beaver would hit the evening rush hour on the journey home and the plan was to fix the start time to miss the morning rush hour. So David left home at 0600 hours and encountered more traffic on the A342 than he normally does when he leaves an hour earlier. When it proved difficult to get vehicles past David looked for a lay bye, a bus stop or the wide entrance to an industrial estate to pull off the road for a minute and let a stream of cars get on their way. The Leyland Beaver pulled into Basingstoke to catch the last remnants of the morning rush hour and there was minimal traffic on the A30, A322, A332 enabling the lorry to arrive in E. Sargeant & Sons yard by 1015 hours. The staff members at E. Sargeant & Sons were pleased to see David and Peter Wicks showed David the location of the hot tap and he spent the next 90 minutes washing the vintage lorry which had got dirty during the journey. Just about that time the Heart & Flowers van pulled into the yard with every Floral Tribute apart from the ‘GRANDAD’. Amanda asked where should she put the flowers and David suggested that they went straight onto the deck and into their Support Structures. David said, ‘It is always best to handle the flowers as little as possible’ as he placed the ‘Horse Shoe’ on its stand. Amanda was amazed how David had made the wooden structure so it was hidden by the flowers. As David was lowering the ‘DAD’ onto its stand Jose, the Limousine Driver, said ‘I know that it will fit first time, this man is very organised.’ Jose then made David a cup of tea, however, his key role was to help assemble the ‘GRANDAD’ which arrived as 4 and 3 lettered words. Amanda then did something amazing, she gave David two chrysanthemum flowers to take with him in case any flowers should pop out of the oasis bases during transit and it was the first time a Florist had ever shown so much care. The cortege went over a cattle grid and the road went over a grass common area. A cyclist was wobbling on the road ahead, Tony in the Hearse just missed the cyclist and it was evident to David that there wouldn’t be enough space for the Leyland Beaver and the cycle between the kerb and a road island. With no oncoming traffic David elected to go the wrong way around the road island and his actions ensured that the cyclist was safe. The Family were delighted to see the Leyland Beaver and the layout of the deck that David had created. A young Great Grandson showed interest in the lorry and David, after gaining the boy’s Dad’s permission, lifted the 8 year old into the cab and sat him behind the giant steering wheel for a short while. There was a delay in off-loading the coffin as the cortege had arrived early. The Second Limousine Driver Lee said, ‘I wish it would rain then the Vicar will start the service early,’ and he got his wish. Hearing these words David thought of the Temptation’s song ‘I wish it would rain’. Rain started to fall as the coffin was off-loaded and the intensity grew during the service, however, it seemed to ease as the coffin was positioned back on the deck for the interment in Oakley Green Cemetery. 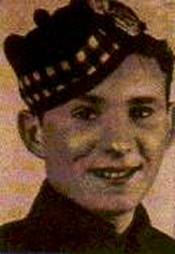 David left the cemetery at 1615 hours as the traffic was building and he hit the main rush hour traffic on the A322. As David was sitting in stationary traffic he had his second sandwich of the day and whilst he sat on the A30 at Camberley he had some coffee from his flask. The weather improved at Basingstoke and the deck was almost dry when he got home. Coming up the street behind David was a car with it’s headlights on and David was temporarily blinded as the light dazzled in his wing mirror. David stopped the Leyland Beaver and was just about to give the driver a stern talking to, when David’s wife who was waiting at the entrance to their drive, intervened to ask the man to use his side lights only. This was the best solution as David had been on the road for almost 15 hours and his tolerance was low. Once the Leyland Beaver was safely into its garage David inspected the condition of the deck for dryness and found the two Chrysanthemum flowers still positioned loosely in their flower tray. David gave these to his wife and said they were a present from Hearts & Flowers as they were never needed as replacements in the cemetery. As David had a bowl of soup at 2100 hours he told his wife how nice the Family and Funeral Director’s Staff had been with him. Most of Vintage Lorry Funerals trips involve an early start with the Leyland Beaver rolling out of Bradford-on-Avon in the dark. The journey to Denmead was no exception departing at 0500 hours on an August day when dawn was just about to break. David enjoys the early starts as he witnesses sights that most people don’t see. It is magnificent when the top of the sun peeks above the horizon and then slowly emerges into an orange football. David has 1950 styled sun-shades that clip onto his spectacles that can be flipped up during normal conditions, but flipped down in bright sunlight. Often in the early morning David sees animals and on this trip he had a rabbit trying to outrun the Leyland Beaver in Holt. However, the most surprising sight was a herd of White Belted Galloway cows near junction 9 of the M3, some 500 miles from home. The other amazing thing about early morning starts is that in David’s experience people are more courteous. At fuel stations where David stops to buy a paper he can find Scaffolders who will hold the door back for you and White Van men who will say ‘after you’ as you both approach the newspaper rack. The funeral in Denmead was Vintage Lorry Funerals first for South Downs Funeral Services, a company started by Paul Lee-Bapty in 2011 and he has built up a successful business in both Denmead and Wickham by operating services at the highest quality. In David’s experience there is a huge difference between someone who conducts a funeral for a large organisation as opposed to the man who owns the company. Initially David was worried how well he and Paul would get along, however, his concerns were unwarranted. On the day of the funeral David saw that Paul’s determination to achieve the highest service levels were no different to his own. A man was returning from the Newsagents, who used to work for Calor Gas, a company which used Leyland Beavers for deliveries. A man asked to shake David’s hand, having seen and read articles about funerals in many magazines. A Scotsman in a car stopped and commented how well the lorry looked. He had maintained Leyland 600 engines in the 1950’s. A car driver stopped twice, once to take a Business Card and the second time to say how wonderful the lorry looked with the coffin loaded and flowers either side. A young mum struggling with a pushchair and an energetic youngster was given a card after her son was transfixed by the lorry. 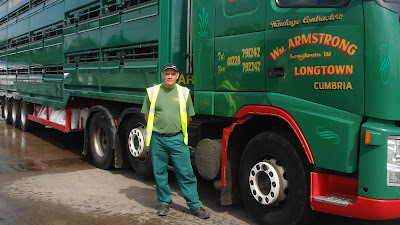 David found it interesting that the South Downs email address doesn’t start with info@ or mail@ but care@ and David saw a high level of care demonstrated when Paul started to page the lorry from his premises. In a display that in David’s opinion had a strong military feel and perhaps a small piece of Michael Jackson’s Thriller video, Paul commenced the paging process by bowing towards the radiator of the Leyland Beaver. Instead of turning and walking forwards like everyone else in the funeral world, Paul stepped backwards and used the fingers on his outstretched arms to entice the Leyland Beaver out of the side road like a Lion Tamer controlling a Lion, but having no whip. Paul continued to walk backwards still beckoning the Leyland Beaver until he reached the white line in the middle of the road. With the Leyland Beaver positioned halfway out of the side road, the traffic moving toward Portsmouth was brought to a standstill on the B2150. Paul seemed unconcerned about the traffic travelling from Portsmouth which was speeding past his back, only inches away. Paul then enacted a military turn, faced the oncoming traffic, stopped it and then continued to page in the traditional way. The military feel was also exhibited at the crematorium. When the coffin was about to be off-loaded two South Down’s men were next to the lorry, and another two were standing next to their vehicles. Paul then called out the name of one of his men standing next to his vehicle and the man then quickly walked to the lorry. Paul then called out the name of the remaining South Downs man still with his vehicle and he then also walked quickly towards the lorry. The four South Downs men then positioned themselves into two rows of two, facing each other either side of the coffin. Paul then joined them, he faced the head of the coffin and bowed. Paul and the two men either side of the coffin then took one step away from the edge of the lorry in a synchronised way taking the coffin with them. 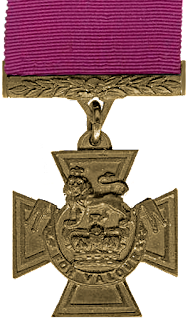 On Paul’s command he and the two men took a further step away from the edge of the lorry, whilst the two remaining men took one step forward and touched the coffin. At this point the coffin was about 4 feet beyond the roller and with Paul’s next command everyone took a further step away from the lorry edge and the coffin was now in their hands and was held at the same height as it had been on the lorry. None of Paul’s staff spoke at any stage and you could have heard a pin drop before Paul’s command and the coffin was then lifted to shoulder height. It was a fantastic spectacle, however, some people in the funeral world have no doubt been disrespectful about Paul’s paging and conducting style. David was impressed with the level of theatre that Paul had created and he reflected that Paul and David were not that far apart in their aims to do their absolute best for a family. In the past David has been asked to dress like Fred Dibnah, to talk like Fred Dibnah and at a funeral in Guildford David was asked to be Fred Dibnah! On the way home David encountered queuing traffic on the M3 between junction 11 and 9 with a high volume of vehicles wanting to be on the A34 on this Friday afternoon. On the A342 David tried to get cars past whenever possible but once a queue of at least 10 cars were trapped behind the lorry at 30 m.p.h. David looked for a lay-bye. This is something that modern Lorry Drivers won’t do and some people think that David is a Knight of the Road, but David dismisses this concept saying it is only commonsense. In David’s experience he can upset some of the people some of the time but it is best not to upset all of the drivers all of the time, because frustrated drivers can attempt dangerous things. Once David pulled into the lay-bye 10 cars sped past, two or three gave a friendly toot of their horn as a ‘thank you’ but there is always one who will put his or her hand out of the window and make an offensive gesture. The traffic was gridlocked on the Melksham bypass due to rush hour traffic and David got home at 1730 hours but the drama didn’t end there. David’s wife always walks down the street to guide David as he tries to manoeuvre around obstructively parked cars. However, on this occasion David’s wife noticed that a young toddler had escaped from a garden in Highfield and had wandered out onto Woolley Street where cars speed up the hill in a rat run to get out onto the Bath road. Luckily David’s wife acted swiftly and plucked the young child out of harms way just in time as a car raced by. David arrived two minutes later and was oblivious to what had just happened. In the garage after his wife had checked that the brake lights were working she told David what had nearly happened. David then thought what was worse, a child nearly killed by a car or parents who didn’t seem to comprehend the danger that their bundle of joy could have been in. David Hall received a call from a Slough Funeral Director about using his lorry for a 31 year old who had lost his life in tragic circumstances on his river boat. Given the nature of the death the Coroner would be involved and there was no definite date for the funeral. In addition the Deceased had been a Self Employed Carpenter and initially there appeared to be no logical reason for his family choosing the vintage lorry. Consequently the family didn’t commit at an early stage that they would like the 1950 Leyland Beaver, unlike when the lorry is chosen for someone whose life has been steeped in transport. Around the same time David took a call on his mobile from a family in Hereford and, as part of the information he requires before working out a price, David asked had any decisions been made about the flowers. The Son of the Deceased said that there would be a ‘DAD’, a ‘Pillow’, a ‘Spray’ and a ring of vegetables. David’s ears pricked up and he asked about the significance behind the ‘Vegetable Ring’ and was given some background on an amazing man. Gordon had been a Lorry Driver who took over two allotments when he retired and gave any surplus fruit and vegetables to The Salvation Army Citadel which helps needy families in the area. David at an early stage wanted to do something special for such a special man and he envisaged creating a ‘Cold Frame’ with the ‘DAD’ Floral Tribute depicting the glass and the ‘Vegetable Ring’ being prominently displayed at an angle in front of the ‘Cold Frame’. Vegetable gardening is not as popular today as it was in the frugal 50’s when David’s own Dad grew vegetables, giving huge carrots to his Brothers & Sisters insisting that he was just thinning out, and often saying ‘you can’t eat flowers’. David thought that the display for Gordon’s final journey could be enhanced with a collection of tools, so David approached a number of his neighbours who provided a Spade, a Fork, a Rake, a Hoe, a Dibbler, a length of Hose and a Line. Within a 2 hour period David received confirmation of his requirement in both funerals, with Slough on Thursday June 29th and Hereford on Monday July 3rd, both being in the afternoon and within the distance so that they could be undertaken in a day from Bradford-on-Avon. David spoke with the Mother of the Deceased for the Slough funeral and she confirmed that her Son, Max, would have wanted a minimalistic display with just his coffin and a Coffin Spray. So David had a dilemma of being committed to create an intricate display, with tools surrounding the Floral Tributes within one working day of returning from Slough Crematorium with a clear deck. Although there was the cushion of Saturday and Sunday, both working days to a Self Employed man, however, most people only work 5 days per week. There would be a lot of pressure on David to create a complicated display within an 8 hour window if he needed any assistance from other people. There would also potentially be extra Floral Tributes from more distant Family members who would expect their flowers to be treated the same as the rest of the Family and this may lead to a re-evaluation of the display structure. David deemed that it was too risky to do it all in one day, so he did what he has previously done in the past. He decided to build the display for the second funeral first, document it, dismantle it, and store each element in the sequential order of loading. The deck was then vacuumed for the first funeral in Slough and David’s wife did her exquisite job of polishing the lorry, in the same manner that she does for each funeral. The Slough Funeral Director provided a picture of Max, that was destined for the Order of Service leaflet and the Vintage Lorry Funerals’ Support Partner enlarged it and laminated it. David, cognisant that Max had been a Carpenter, built a wooden structure to enable the picture to be positioned on the Headboard. The journey to Slough initially went well with a 0500 hours starting time meaning little traffic in Wiltshire and David got past Basingstoke for 0730 hours. Everything was going well until David encountered a wall of stationary traffic at Bagshot. Mission Control, David’s wife, sent him a text, ‘M3 closed, all traffic diverted onto A30’. Cars were turning round in front of the Leyland Beaver and no doubt finding some narrow back lane to avoid the hold up, however, it wasn’t advisable for David to undertake such a risky venture. He felt that the traffic would eventually clear allowing him to be at the Funeral Directors for 0915 hours and David wasn’t wrong. After loosing 40 minutes in queuing traffic David took the A322 and then the A332 into Windsor passing Legoland on the left. 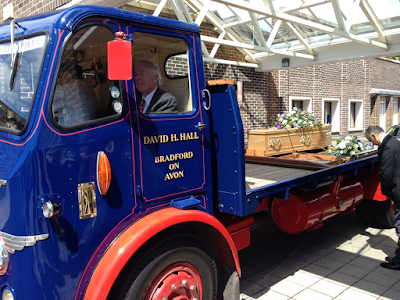 As David was waiting to load the coffin he was struggling to understand why his lorry had been chosen for the funeral. When a 31 year old passes away with a Glastonbury Ticket in his pocket a Funeral Director would normally expect that a Family may opt for the VW Camper Hearse rather than a 68 year old lorry driven by a 65 year old man. Max’s Dad explained that the sign was in fact the lorry’s number-plate and MXV 610 was the registration number. The Partner said that a wrist band with MV on it would be worn by Max’s cousin Anthony Watson who was representing the British & Irish Lions in New Zealand. So as David left the Crematorium he reflected that his lorry had been chosen in the past for people who didn’t want a black hearse, for people who were too big to fit into a black hearse and some people who liked blue or red or the combination of both colours. However, now David believed that someone may have chosen the lorry perhaps solely for its registration number or is it a case of ‘Just my Imagination running away with me’, a song made famous by The Temptations. The construction of the Gardener’s Theme went well on the Friday, in part helped by the pre-fabrication of the ‘Cold Frame’ the previous weekend. In fact the first fix was completed by 1500 hours but then David received a call about an extra Floral Tribute, a 15 inch ‘Open Heart’ from one of the Grandchildren who was close to Gordon. So David offered to position the ‘Open Heart’ between the ‘DAD’ and the picture of Gordon that was projecting out from a Produce Tray, like the kind he would have put his seed potatoes in, whilst they were sprouting. David saw that two lengths of 5 inch x 2 inch timber that had a 45 degrees cut at one end, which had been previously used as the Support Structure for a ‘Butterfly’ Floral Tribute, would be ideal to make the ‘Open Heart’ Floral Tribute appear to float. On the Saturday morning as David was completing the second fix, including identification of which plastic fasteners to take for each Floral Tribute, another email arrived from the Florist. 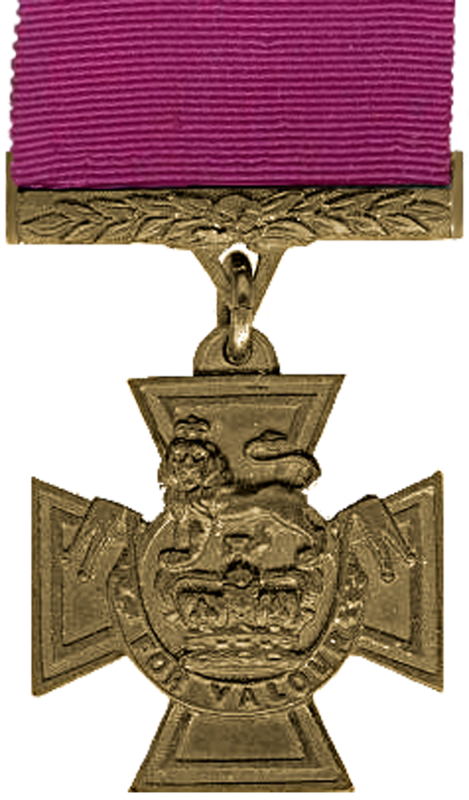 It contained a diagram detailing measurements for the ‘Open Heart’ and notification of a late order for a ‘Teddy Bear’. The Florist sent a further email within the hour with a sketch of the ‘Teddy Bear’ noting the key dimensions. David has never met a company like Hillman’s Florist whose staff were so helpful despite being incredibly busy on a Saturday afternoon. Luckily there was just enough room to position the ‘Teddy Bear’ next to the Spade. Bayley Brothers Funeral Directors in Hereford were excellent. Being based in narrow side street with rows of terraced housing either side, some people that David knew in Hereford thought that there was a chance that the Vintage Lorry couldn’t get into or out of the street. Roger Bayley explained that he would endeavour to protect the space around his location, however, if cars were parked obstructively then an arrangement was in place to transfer the coffin and flowers onto the Leyland Beaver in the additional car park at Hereford Crematorium. The Family were very pleased with David’s efforts and a large crowd was gathered at The Salvation Army Citadel. Gordon was laid to rest, with his favourite Hoe alongside him in the coffin, near where he lived as a child in Peterchurch to the east of Hereford on the way to Hay-on-Wye. Parking outside the Church presented a challenge, however, David got out of the cab, discussed a plan of action with the Funeral Director and then told everyone what they needed to do to prevent an obstruction on the main road. It was most touching how each Family member stepped forward to take their Floral Tribute off David, before Family bearers took the coffin to the cemetery. The return journey took the Leyland Beaver south through Monmouth and then down the Wye Valley to Chepstow and onto Severn View Service where David took a 45 minute break to let the rush hour traffic subside. David arrived home at 1945 hours and a young boy in his Father’s arms waved to David as he reversed in off the street at the end of a 14 hour day.